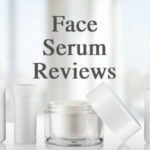 If you’re in the market for a face serum or have recently found one to try, I’m sure you’re eager to test it out and start seeing some results. But no matter how potent or miraculous a product is, it won’t work unless you’re using it correctly. Facial serum isn’t one of those “slap it on and hope for the best” type of skincare solutions. Nevertheless, it’s also not as confusing and time consuming as say the entire 10-Step Korean Skincare Routine in all its glory. And if you have that routine down, then more power to you. But most likely you’re looking for something that’s fast, easy, and most importantly effective. You’re in luck because face serum takes just a matter of seconds to apply and then you’re free to go about your day (or to go Google the 9 remaining steps in the Korean Skincare Routine). 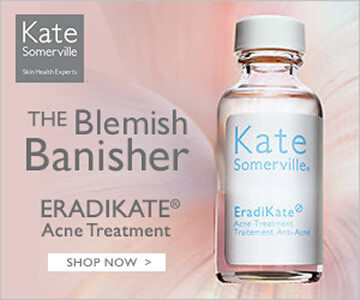 Because these serums are bursting with only the most beneficial and high quality ingredients, they work quickly and seamlessly to offer you some serious skin improvements. So, before you start on your journey to new and improved skin, let’s go over the fundamentals of using face serum so you’re properly equipped. 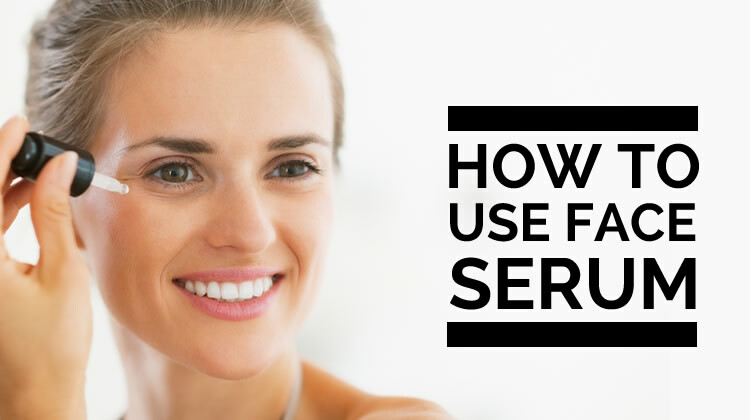 Follow these steps to learn how to properly use and get the most out of your face serum. Before you apply your face serum, make sure your skin is properly prepped. Cleanse your skin with your favorite face wash and then exfoliate if necessary. This helps prepare your skin and remove any buildup or debris that could hinder the absorption of your serum. When it comes to skincare, correct layering of products is essential. The general rule of thumb is to apply products based on their viscosity, so start with the thinnest product and finish with the heaviest or thickest. After cleansing, apply a small amount of liquid, alcohol-free facial toner onto a cotton ball or pad. In small, gentle circles, apply the toner across your entire face. Pay special attention to your hairline, chin, cheeks, and nose. Don’t forget about your neck, either. You can also spritz your face with a delicate mist that contains skin-nourishing ingredients like rose water, coconut water, witch hazel, or aloe vera juice. If facial toners or mists aren’t your style, you can dampen a washcloth with lukewarm water and gently pat on your face. This step is crucial because damp skin, whether by toner, mist, or water, is up to 10x more permeable than dry skin alone and in turn will be more accepting of your nutrient dense face serum. After you’ve cleansed and dampened your skin, it’s now time to apply the superstar, your face serum. It’s always important to read the directions thoroughly on your individual face serum. Some serums may have specific instructions for you. 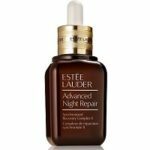 In general, less is more when it comes to serums. The amount you need may vary depending on your skin and the particular product you have. The standard application is 2 pumps or a pea-sized amount. If you have a dropper formula, use 3-4 drops of serum. You want just enough to lightly cover (not coat) your entire face and neck. Remember, face serums are VERY potent with high concentrations of ingredients. Resist the urge to slather on your serum, this could lead to irritation and poor absorption of the product. You can apply your serum in 2 different ways depending on which you prefer. One way is to apply the serum with your fingertips. 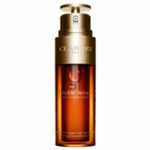 Use your fingertips to gently apply the serum to your face and neck and then lightly tap, pat, and smooth the serum out. Avoid tugging the skin and rubbing too hard, let the product absorb on its own once you’ve smoothed it out. The second method is to use your palms. Apply 2 pumps or 3-4 drops of serum into your palm. Gently rub your palms together to warm and activate the serum. Lightly press your palms onto your skin and pat the serum on in outwards and upwards motions until it is fully applied to your face and neck. After you’ve completely applied your serum with either your fingertips or palms, wait 5 minutes for the product to fully absorb. If your serum is leaving you with a sticky or oily residue, it’s most likely not doing its job effectively. While face serums contain moisturizing agents, they aren’t intended to replace your daily moisturizer or night cream. Rather, serums supplement your moisturizer and each product greatly benefits the other. After you’ve waited 5 minutes for the serum to absorb, apply your moisturizer to your face and neck. The moisturizer is the final step and finishing touch that helps seal in your serum and lock in the nutrients. It also gives you an extra layer of moisture to protect and hydrate your skin for a supple, dewy glow. With all the potential products you’re putting on your skin, it can get really confusing deciding when to apply what. Here’s the correct and most beneficial order to apply your facial products. If you don’t happen to use certain products mentioned, just move on to the next relevant step that you use on a daily basis. Here are a few bonus tips you can utilize when using your face serum. What make face serums work so well are their highly potent and concentrated ingredients. If you have sensitive skin or are new to face serums, be sure to start off with a patch test. Try the product on a small area of the skin to see how your skin reacts. On the side of the neck is a good place to test to see if you’re potentially allergic to the product. Some serums will naturally leave the face slightly pink, but will subside after about 10-15 minutes. If you’re having a reaction, the skin will become itchy along with a red rash. If this happens, you can apply cold plain yogurt or Milk of Magnesia to the affected area. Let it sit on your skin for 15 minutes and then gently rinse off. You can repeat this method every 3 hours until the reaction wears off. In order to get the most out of your face serum, store it in a cool, dry place. This also helps extend the life of it. Other than being luxurious, satin pillowcases are ideal for face serum. Before you hit the hay, wait 10 minutes for your nighttime beauty products to soak in. Satin pillowcases are great for 2 reasons. First, they diminish the occurrence of wrinkles and acne because they completely eliminate pillow creases in your skin. Second, they allow your serum to stay put throughout the night as opposed to cotton pillowcases, which can absorb your serum! We’re often drawn to products that look and smell pretty… it’s simply human nature. However, added colors and fragrances don’t do any good when it comes to your face serum. In fact, some can even hinder the absorption of your precious serum. It’s best to opt for serums that rely solely on quality ingredients without any extra fluff. A face serum can be your new secret weapon when it comes to achieving perfect skin. You just have to make sure you’re using it correctly in order to reap all of the skin goodness. Thankfully, face serums aren’t super tricky or time consuming to use. There are just a few main steps to keep in mind once you start using one. Once you know the steps, it’ll be a piece of cake going forward and you’ll be a pro in no time. Here’s a quick recap on how to properly use face serum. First, cleanse and exfoliate your skin and follow it up with a toner or facial mist. Next, gently apply a small amount of serum to your face and neck with either your fingertips or palms. Then, wait 5 minutes for your face serum to fully absorb into your skin. Last, finish up the process by applying your favorite moisturizer. Also, be mindful of the correct order of application for your skincare products. This will help optimize your entire beauty routine. 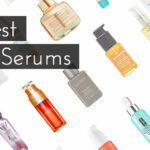 If you’re still looking for that perfect face serum to complete your regime, check out our list of the best face serums.